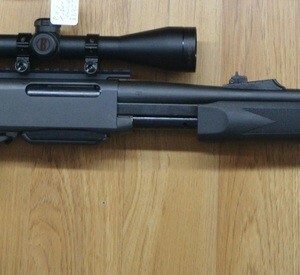 Remington 7600 .308 package with Choate pistol grip stock 3-9×40 IR Scope and mounts. 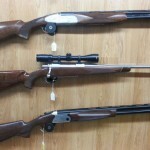 The Remington 7600 is a Pump Action Rifle with a long proven track record for accuracy and reliability. Its ease of operation and simplistic function makes it perfect choice for medium to large game hunting. But all things considered, its an extremely versatile rifle. The magazine holds four rounds. 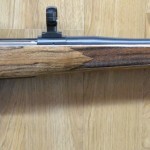 Follow up shots are made more easily without having to un-shoulder the rifle. And Remington’s rotary locking system make the pump safe and strong. All over the world the 7600 is used for versatile applications and is often customized. That’s why we have started the project for you with the 7600 .308 package.